P.S. If you liked this video, then I encourage you to sign up for my newsletter where you’ll get my Free Book and Videos on How To Heal Your Pets At Home with my TOP Natural Remedies. You’re a vet and you should stick to medicine, not training. Leave that to a trainer. I wish that debarking was not allowed in the US. I have two rescue dogs that were debarked and it is sad. One has problems continually – he regurgitates his food each time he eats. I won’t put him through more surgery at this time as he is almost ten. Dogs need to express themselves through their barking. Relax, will ya? 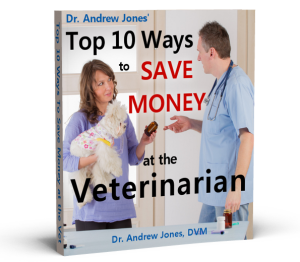 There is no harm in a vet talking about the basics of training. If you have nothing good to say, then just don’t say anything. We don’t need negative people in our lives. Thanks! GREAT ADVICE. KEEP SHARING HEALTH AND TRAINING TIPS. A VET SHOULD UNDERSTAND HOW A DOG THINKS AND WORKS BE THANKFUL HE CARES KELLI OR BYPASS THIS INFORMATION. Rescue Remedy which is a natural product u can buy at a health food store or wal-mart or maybe even wall-greens. Hey Kelly – I agree with Lynn. Keep up the good work Dr Jones!